If you are on T-Mobile and pre-ordered the new Galaxy S8 or Galaxy S8+ within a couple days after it officially launched for pre-sale, then you likely got a message from T-Mobile indicating that your order is on your way. I received an email about my Galaxy S8+ on Friday morning. However, it doesn’t mean the device is actually on the plane right now. 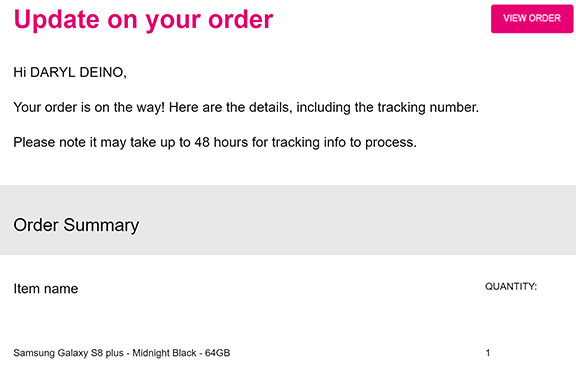 However, it’s likely that I should receive mine by Tuesday — three days before the actual release date. My Samsung Galaxy S8+ is on its way. Am I excited? Am I jumping for joy and wishing I could somehow skip through a couple days of my life in order to start playing with it? Unfortunately, the answer is “no.” It’s not that the Galaxy S8+ isn’t a great phone; it is. I’ve played with it at Best Buy a lot, which diminishes some of the excitement since it won’t be brand new experience. 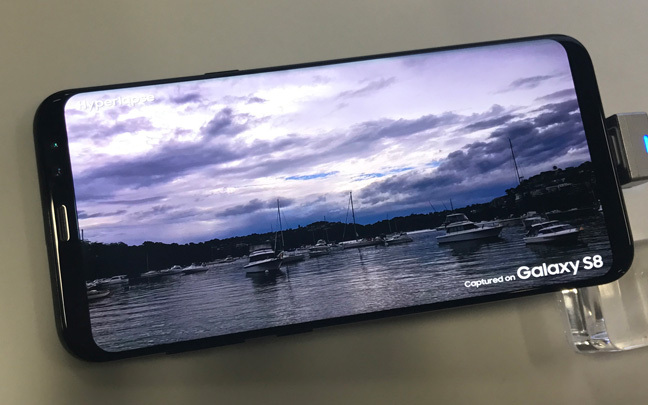 But there’s another thing that’s been bugging me lately — the Galaxy S8+ camera. Samsung Galaxy S8 only has a solo lens. From what I’ve seen, it’s a great camera. BGR, known as the Apple fanboy website, is highly impressed with Samsung’s latest smartphone camera. But it’s disappointing that Samsung couldn’t put a dual-lens camera on their phone this time around. According to CNET, there have been prototypes of the Galaxy S8 and S8+ that have dual-lens cameras. 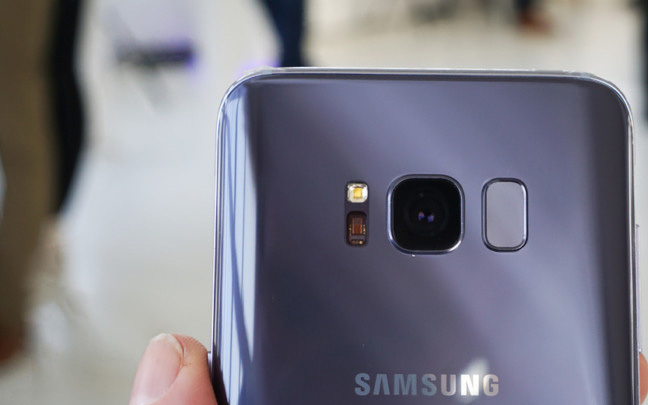 However, it is believed that Samsung didn’t have enough time to put the fingerprint scanner under the screen, so they had to put it on the back, which made the dual-lens camera not fit. According to insiders, Samsung thought the dual-lens camera didn’t make that big of a difference. However, anybody who uses the iPhone 7 Plus will tell you differently. The fact that the iPhone camera has 2X optical zoom (a dual-lens camera allows this) makes a huge difference. Without a 2X optical lens, images often look further than they really are. The iPhone 7 Plus truly makes a digital camera irrelevant. It’s hard to say the same thing about the Galaxy S8+, though it at least has stereo mics for shooting 4K videos. The good news is that Samsung will have enough time to work on the under-the-screen fingerprint scanner in order to deliver the dual-lens camera for the Galaxy Note 8. The only problem is that the Galaxy Note 8 isn’t expected to be released until August or September of 2017, with hopefully no explosions this time around. I still may end up liking my Galaxy S8+ a lot, despite the camera. If not, there’s always the (thank God) two week return period. Still, the smartphone I’m looking forward to the most in 2017 is definitely the Galaxy Note 8. This entry was posted in Review, Tech News and tagged Galaxy S8, Samsung Galaxy S8. Bookmark the permalink.